Same pricing as Amazon.co.uk then. Good to know. megatronus wrote: Really? The RTS mold is so amazing! Articulation wise, transformation wise... he even has the flip out hand guns. Outside of the color scheme, it's hard for me to see Legends Windcharger as better... but that's all in the eyes of the beholder, I guess. I agree, he is fantastic. That said, last night I dropped Windcharger from my PoL and cancelled my Powerglide pre-order and just went with the set of 4. PG will replace the Ultra version on my shelves, and how I feel about the CW line in general will determine if others get replaced as well. Robogeek1973 wrote: The main reason is because BBTS always seems to be the last to get in their stuff nowadays, so my impatience got the better of me and I ordered from a store that has been getting their stock from Hasbro pretty quickly. This once it didn't work out for me so well. I can understand that, only reason I stick with BBTS is their PoL system. Saves me heaps on shipping, and I've got to wait for it to build up, so doesn't change things if they are the last to get something. It Is Him wrote: It gets expensive trying to order all of Hasbro's stuff on eBay to beat everyone else to the youtube ad click-farm fest. Stupid question, are the comics supposed to come with the wave 1 deluxes? I'm fairly certain that since mine came from Hong Kong I don't get the comics. Nope, the deluxes come with collector cards now (like all other size clases) instead. Also, Hong Kong ships the very same hasbro product package with a choking warning sticker in the back of it's boxes. Wow, I missed that. When were we told about the comics being dropped? We werent, they were just never shown at any part of any promotion linked to the toy release. They showed us the items in package and what they came with and we were never shown comics. So their lack of inclusion didnt surprise me. I think it's because this time Combiner Wars is an actual comic event that has yet to come out. But it could also be for cost reasons. Or for language reasons. Hasbro has to make a different kind of packaging for certain parts of Canada that dont allow english only material. I do not think its the only place to require this kind of packaging since I see a lot of MISC generations figures online that also use the same kind of packaging. By taking away the comics, they can standardize their packaging better which also reduces costs. 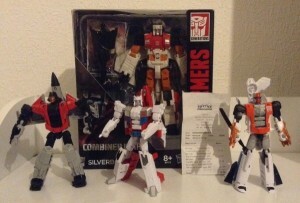 See I was under the impression that the Combiner Wars comics and story were to be exclusive to the figures, hence an incentive to buy all the toys. 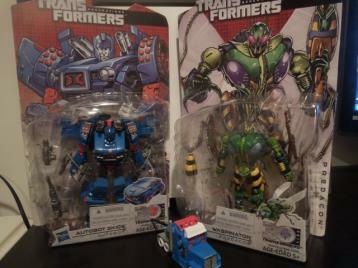 chuckdawg1999 wrote: See I was under the impression that the Combiner Wars comics and story were to be exclusive to the figures, hence an incentive to buy all the toys. Nope. They've been hinting at the Combiner Wars thing for some time in the comic solicitations and both IDW and Hasbro are smart enough to not risk that kind of bad marketing maneuver. Forcing your loyal fan-base into making a move which they may not be willing or able to make just to keep up with your promised end product is nothing but a fast track to creating resentment, out right hatred and loss of customers. Ok, let me re-phrase that: IDW is smart enough to not make that kind of d*** move. Hasbro could care less and would pull it anyway but it's not Hasbros' call this time around so we don't have to put up with that dilemma just yet. So I've been spending some quality time with the limb bots and have to say they're really solid figures on their own. If you never own a torso for them it's not a loss. My one complaint is that there isn't real storage for the feet/fists in robot mode, at least with the Airialbots. 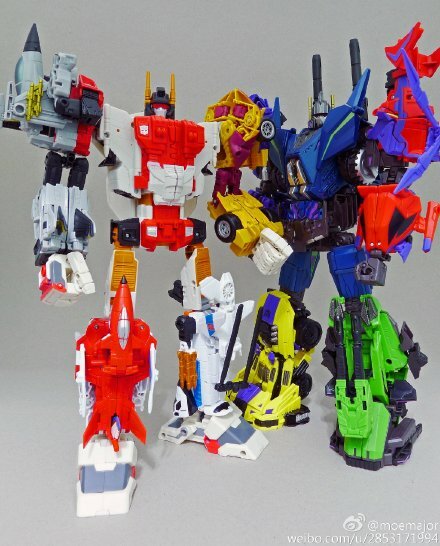 I'm calling it now, SDCC 2015 exclusive sets, G2 Airialbots and G2 Stunticons. 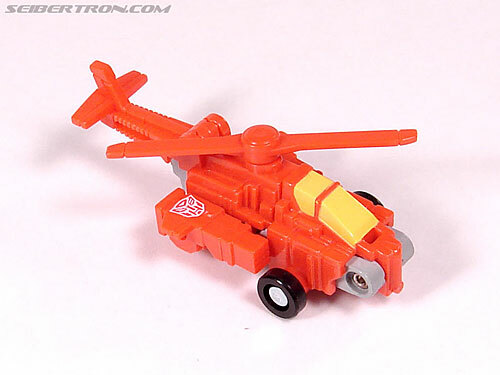 Anyobody think that Takara will just release these in gift sets with all five figures? How about packaging the Legends partner with the "Missing" member of the team. If Takara goes crazy we might see something cool like some of the cars and Motormaster repainted into Land Bison. 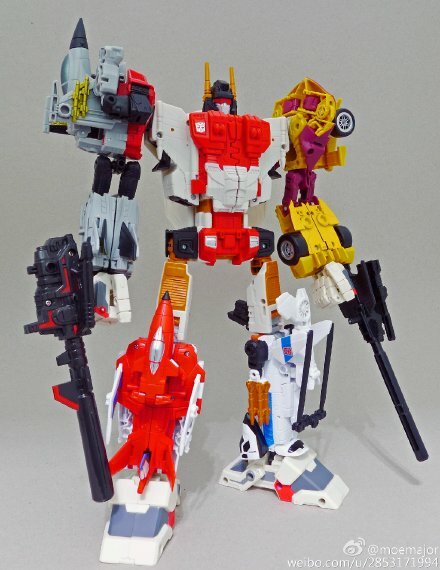 Streetwise - Stunticon repaint, possibly Deadend? Blades - Alpha Brave retool, no missiles on arms, landing skids instead? Rook - retool of Off-road as a swat van? Going under the assumption these guys are combined. Mirage - Dragstrip redeco, it's almost a given. Ironhide - repaint/retool of First Aid. 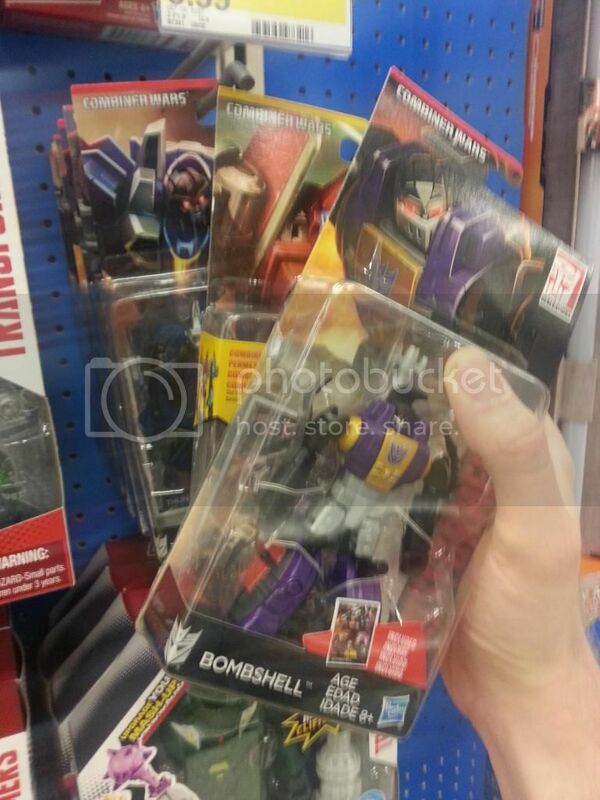 This means we'll probably get a Ratchet too in 2016, though probably an exclusive. Sunstreaker - I'd like a new mould, but will probably be Breakdown redeco'd. 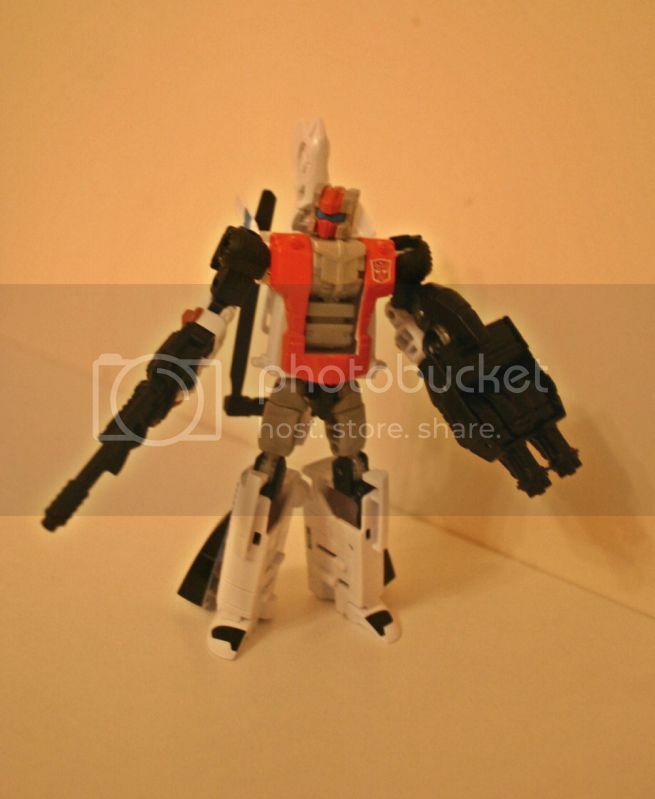 Chance of a Sideswipe repaint in 2016. Prowl - could be a few things. Streetwise redeco, or Rook if he is a Swat Van. Not likely, but would be awesome - new mould and head for the rumoured Devastator. Onslaught - Retool of Hotspot? 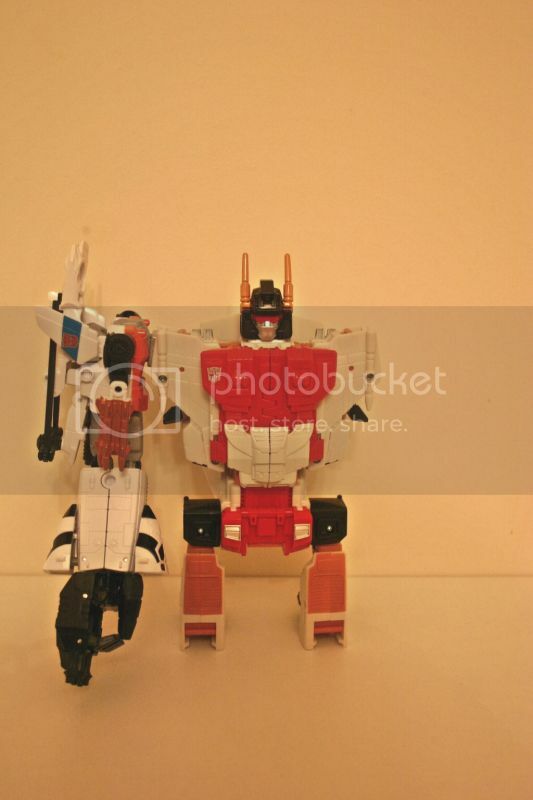 Blast-Off - Alpha Bravo's legs, new upper body. Brawl - Hopefully a new Tank mould, and not a retool of Rook (again, if he's a Swat van, could be turned into an APC). All of the above is almost pure speculation, so don't take any as fact, just me bored on a day off. In a similar move to the Designer Desk videos that have been showing up from Hasbro, the official Transformers Facebook page has uploaded an image showing the evolution in the creation of one of the slowly released Generations Combiner Wars deluxe Alpha Bravo, member of the Aerialbots and Superion. Check it out mirrored below! CW Superion using TFC Toys Uranos hands and feet. I wonder if they are compatible or just a mod? Odd seeing a WFC Seeker head there. Dracula @ The All Spark has found CW Legends at his local U.S. Target. 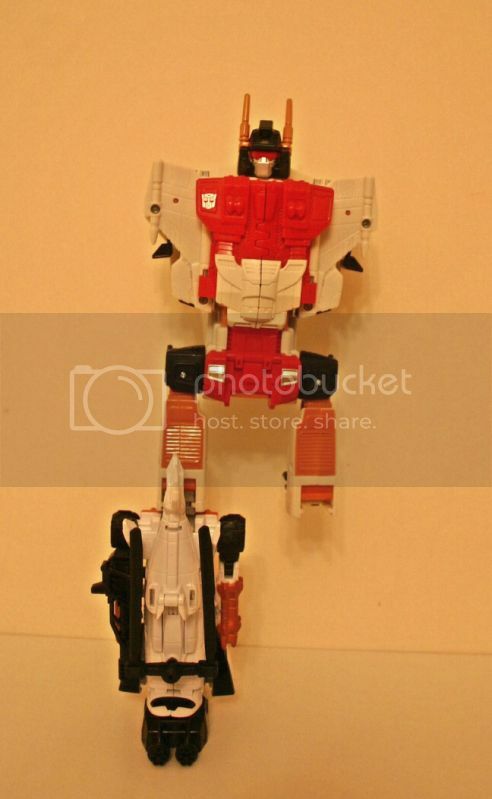 robotmel wrote: CW Superion using TFC Toys Uranos hands and feet. I wonder if they are compatible or just a mod? They are most likely compatible. TFC use the 5mm ports I believe. Picked up Alpha Bravo earlier today, here's a few pics, sorry about the quality of some of them, the best I could do with poor lighting. 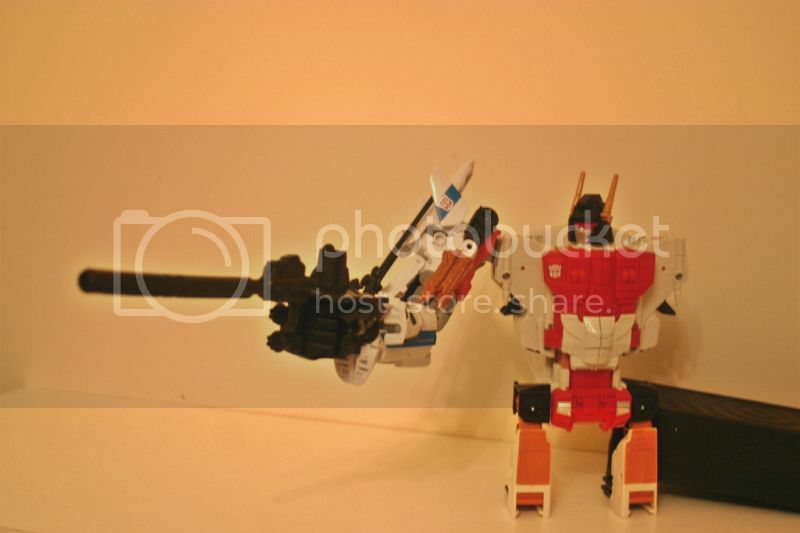 Nice bot mode, I like how he can use the foot/hand as a weapon. 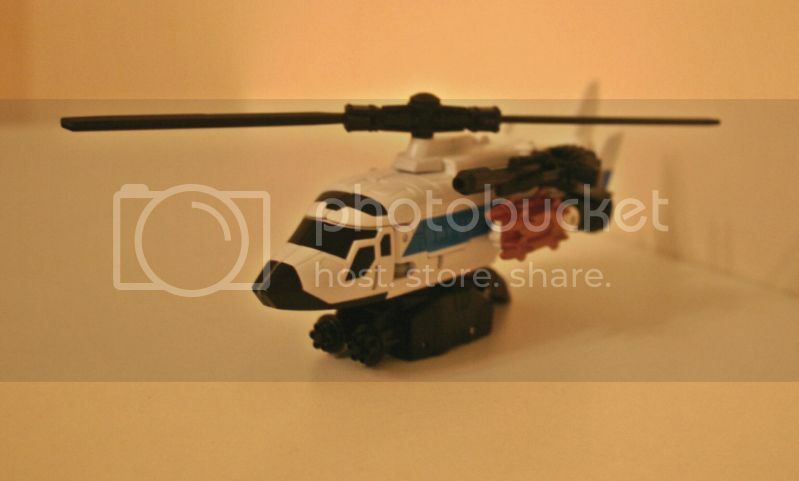 Helicopter mode is also nice, very clean and hardly any kibble. I also like the weapon storage on him, haven't seen that mentioned anywhere else. 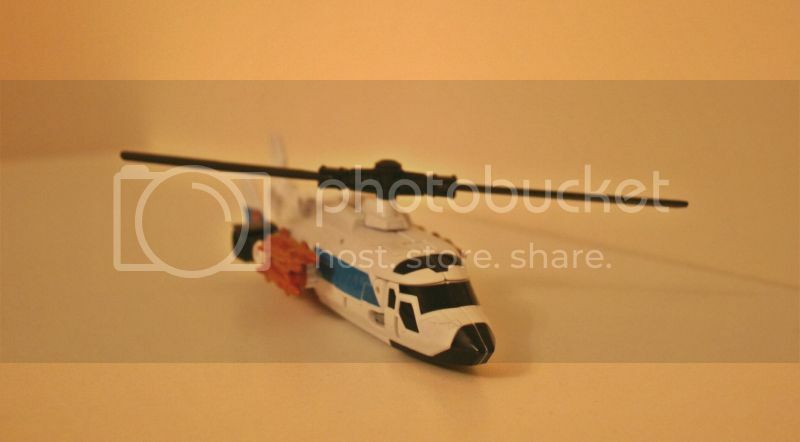 Not so sure about him as a leg, those rotor blades don't tab away at all, and just kind of flap around. 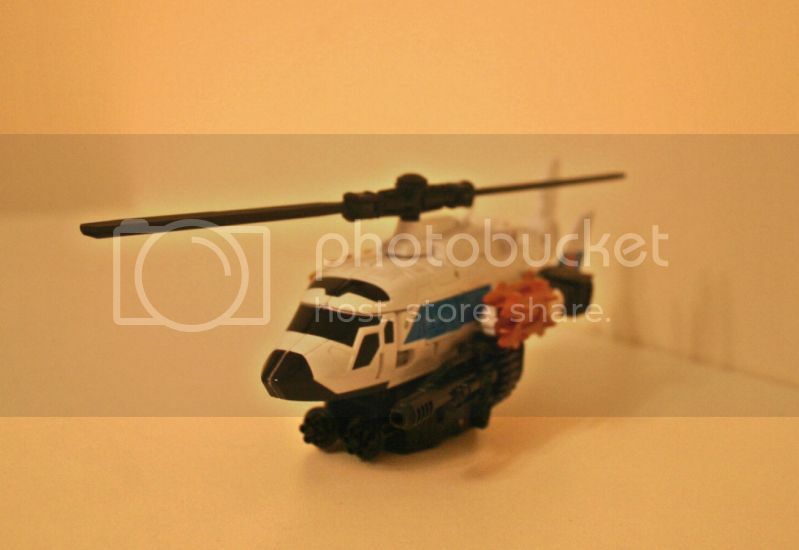 I personally think he works much better as an arm, the rotor blades are less conspicuous this way. All in all a very good figure, I don't mind this guy replacing Slingshot as the deco is a direct homage to G1 Slingshot, both modes are pretty solid and the transformation is pretty satisfying. The only issue I have with the figure is the way the rotor blades flop around in bot and limb, if only they could tab into the tail section this guy would be perfect. Thanks for posting that. I was wondering if it was possible. Arctorro wrote: Dracula @ The All Spark has found CW Legends at his local U.S. Target. I'm gonna be the cranky old man for a minute. I followed that link and saw the receipt. Here we go... $10 for a stinkin' 3 inch action figure! WTF?!?! I understood with the legends because they came with a lil buddy, but COME ON! Back in my day you could buy a scout class Beast Wars figure for 6 or 7 dollars. And they were bigger! Whats this world coming to with inflation and the price of gas, gull dangit!!!! I can barely afford my dang arthritis medicine and my Depends, let alone this nonsense! And all those blasted teenagers and their smarty phones and their hipty-hops!!!!!!!! Rickin' rackin' frickin' frackin! OK. I'm good now. Still gonna buy them all once I find them.